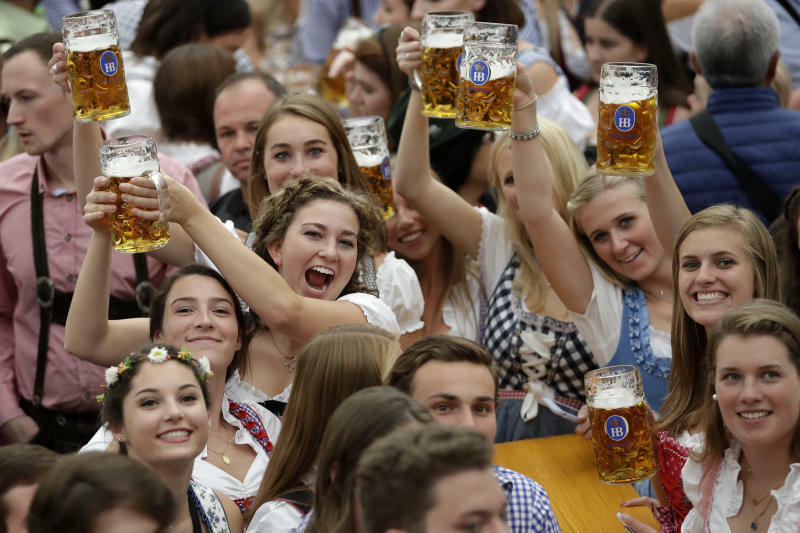 BERLIN (AP) -- More than 6 million visitors, 7.5 million liters of beer, 124 rotisserie oxen and Bill Clinton in lederhosen; another Oktoberfest in Munich has come and gone. Festival organizers say good fall weather helped attract 100,000 more people to the annual event than last year; in all, 6.3 million from about 70 countries. That's despite this year's Oktoberfest running only 16 days — two fewer than in 2017.